Sign up for free membership of our website, and enjoy member-only access to the entire back catalogue of EnlightenNext magazine. Published between 1992 and 2011, this groundbreaking periodical redefined spirituality for an entire generation of seekers. 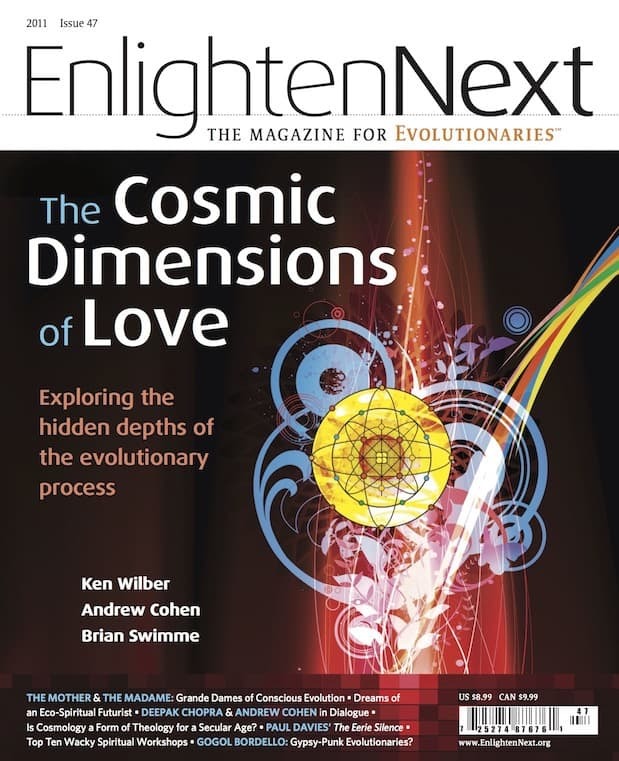 Each issue of EnlightenNext is filled with probing interviews and in-depth articles that are every bit as philosophically rich, culturally relevant and spiritually inspiring today as when first published. Signing up entitles you to free access to all 47 issues of the magazine, and we will be adding more members content over the coming weeks and months. Join our mailing list below, and you’ll receive an email with further instructions.